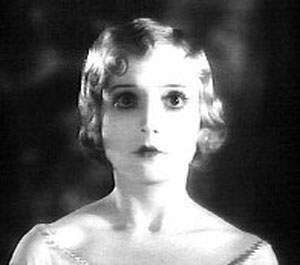 In writing about 1920s and ’30s actress Madge Bellamy, who died in 1990 in Upland, I noted in October that she might be the only Ontario resident with a star on the Hollywood Walk of Fame and said I’d have to visit her star sometime. The other day, I did. I was on my way to Amoeba Music. I got off the subway at Hollywood and Vine, then walked west. Her star is at 6715 Hollywood Blvd., about five blocks west of Vine, between Wilcox and Hudson. 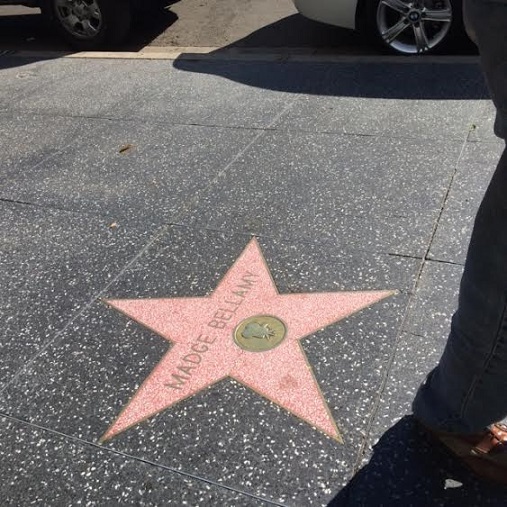 It’s like any other star, but I’m glad I paid homage. This entry was posted in Inland Valley in Movies by David Allen. Bookmark the permalink. She did. My column on her is hyperlinked above (the word “noted”) and tells the story too.